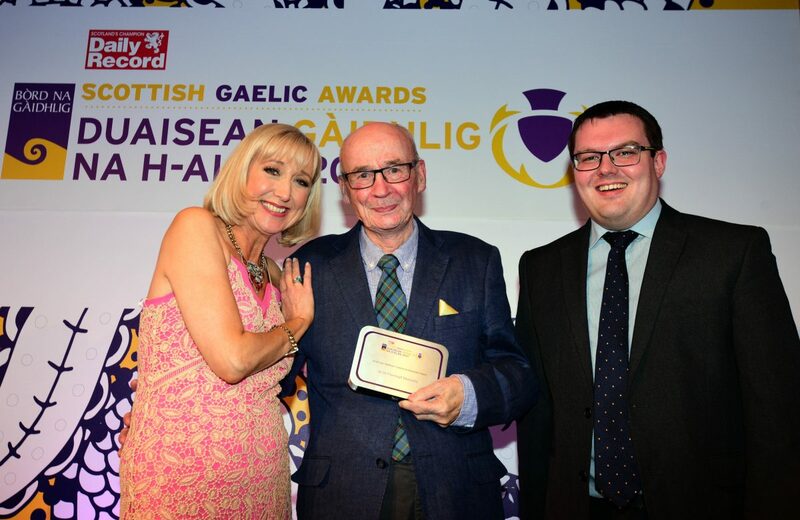 The 5th Scottish Gaelic Awards were held at the Grand Central Hotel in Glasgow this week (Wednesday 15 November) with over 200 guests in attendance. The main award of Lifetime Achievement was bestowed on Dr Finlay MacLeod from Lewis who is well known as an author, broadcaster, teacher and historian as well as having many other talents. Among the other award-winners were Arthur Cormack who was awarded the Best Contribution award which recognises his efforts in standing up to ill-informed and often incorrect media criticism of Gaelic while Pàdruig Morrison from Grimsay North Uist and who is a student in Edinburgh won the Young Gaelic Ambassador award. The Scottish Gaelic Awards were first staged in 2013 by the Daily Record newspaper with support from Bòrd na Gàidhlig and support also comes from HIE, Creative Scotland, MG ALBA and the private sector company Thorntons Investments. The full list of winners can be seen below.